Live from the moon, it’s… NASA? We learned in history class that Neil Armstrong was the first man on the moon, famously saying, “That's one small step for man, one giant leap for mankind,” on July 20, 1969. Ever since Neil Armstrong hopped off that ladder, some people have questioned whether the moon landing really happened. The first major rumblings of a conspiracy began in 1974 when a technical writer for a rocket engine company contracted by NASA wrote a book claiming that in 1969, NASA wasn't technologically advanced enough to safely land humans on the moon. Some people at the time thought the author's connection with this company gave credence to the theory, but it's fair to note that his job had nothing to do with planning the Apollo mission. Conspiracy theorists claim that the U.S. government faked the moon landing to ensure that they won the space race with the Russians. 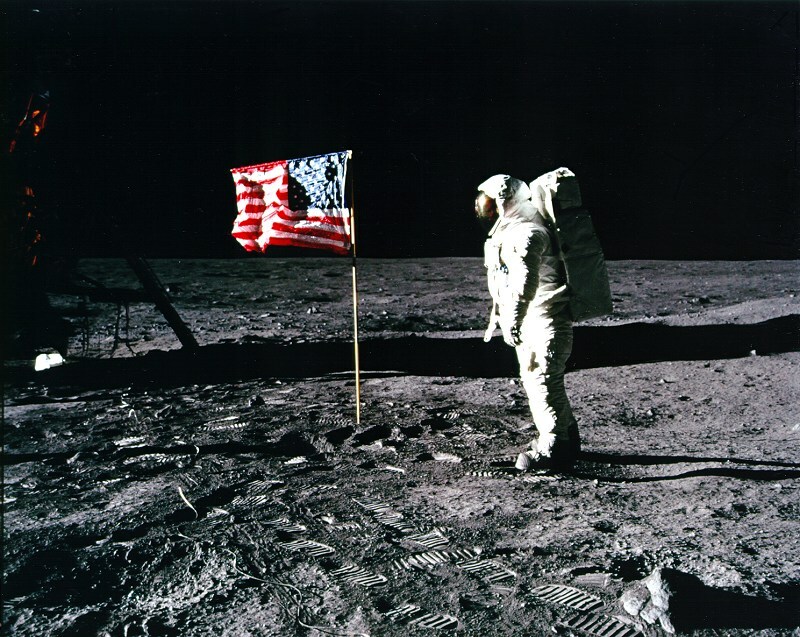 A 1999 Gallup poll found that 6% of respondents believed the moon landing had been faked. Common theories assert that the moon landing was filmed either in Area 51 or in Hollywood. There's also been a popular conspiracy theory alleging that award-winning director Stanley Kubrick actually directed the faked lunar landings. Why was the American flag waving in the wind? There's no wind in space! The simple answer is - inertia. You remember, that thing from physics class? An object in motion remains in motion unless an outside force affects it. The force from the astronauts putting the flag into the ground caused the flag to move, and the lack of gravity and atmosphere meant there wasn't a force to immediately stop it. No wind necessary. But how did NASA film on the moon? 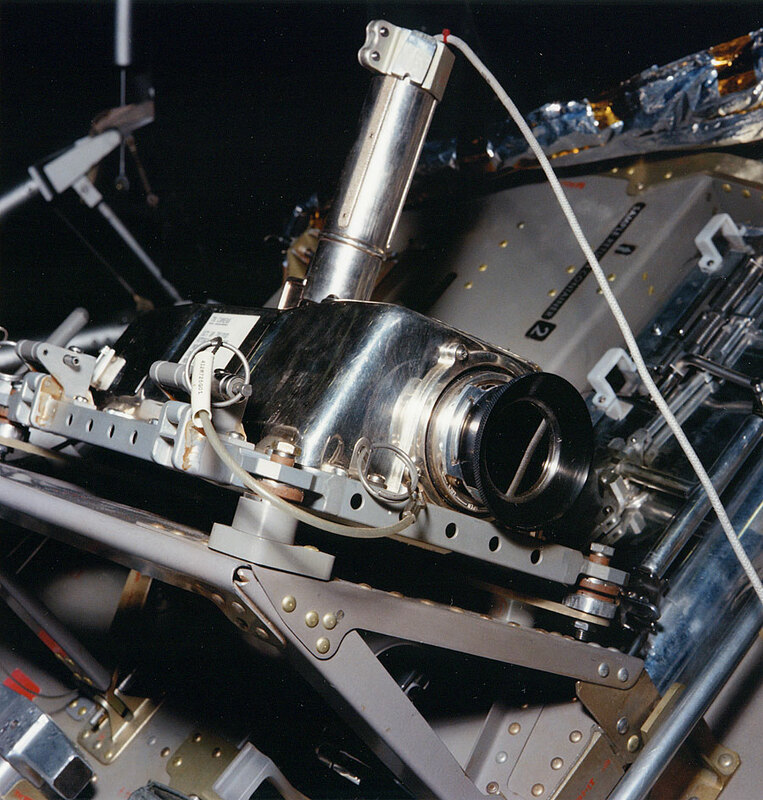 On board Apollo 11 were two 16mm Maurer motion picture film cameras, a color television camera (in the orbiting command module, Columbia), and a black and white TV camera outside of the lunar module, which was the camera used to transmit Neil Armstrong's first steps on the moon's surface. 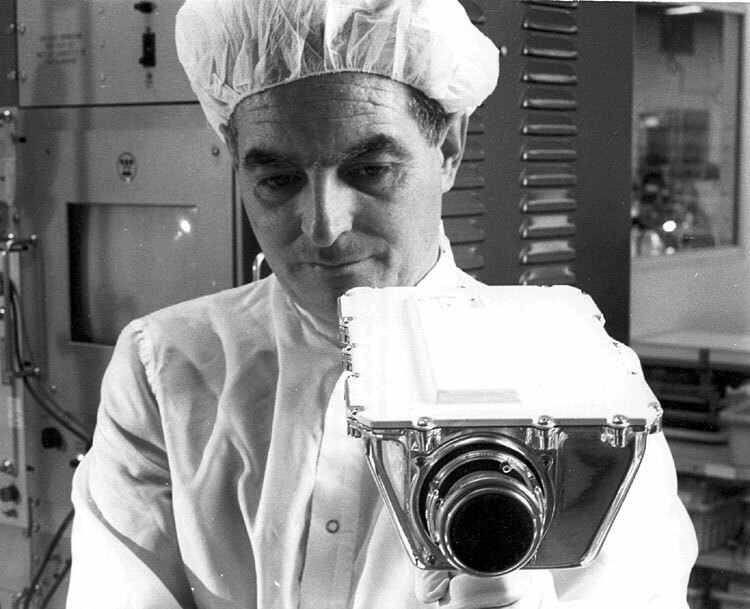 These cameras were developed by Stan Lebar (seen above), a Westinghouse Electric engineer who was in charge of the Apollo TV Lunar Camera project. He developed energy-efficient cameras that could withstand temperatures between negative 250°F and positive 250°F - from the heat of blast-off to the cold of space. The cameras ran on only 7 watts of power - the same amount used for just one Christmas light bulb. If Neil Armstrong was the first man on the moon, then how were his first steps filmed? It's pretty cool, actually. Lebar and his team designed the camera to be built into the side of the lunar module. When Armstrong was about to walk down the ladder, he pulled a cord that swung open a door with the camera mounted onto it, facing the ladder and capturing his first steps. How smart is that? How did NASA broadcast live? So the thing to keep in mind is, “live” doesn’t necessarily mean instantaneous, especially in 1969. Even today, in 2016, Facebook Live often has a slight delay. Broadcasting live from the moon was a process. First, Lebar had to create a whole new format for broadcast, because the part of the broadcast spectrum that TV usually used was instead being used to communicate with mission control. As footage was filmed, it was sent to tracking stations at observatories in Australia, Spain, and California. At the tracking stations, the footage was converted back to the correct spectrum for TV and sent to NASA's mission control in Houston, TX. From there, mission control sent the footage to the broadcast stations, who beamed it out to at least 500 million people who were watching. NASA has a ton of documentation of the moon landing, but the one thing they'll never have is independent verification. Typically, when scientists and researchers want to make a new scientific claim, they must get third-party, independent verification of their discovery before it is published in scientific journals. The most convincing point that conspiracy theories have brought forth is that 100% of the moon landing evidence comes from NASA itself. The way NASA tells it, the reason why they felt it was so important for them to film the moon landing was because this acted as their verification - they knew no one would believe them if there wasn't visual proof. But does this explanation actually feed the conspiracies? With all this in mind, we decided to try and find out if it was even possible for the moon landing to be faked. We did our best to stick to the resources that would've been available in 1969. On the left, the original moon landing in 1969. On the right, BuzzFeed's recreation in 2016. There's totally a chance the moon landing was faked. There's no doubt in my mind this really happened.